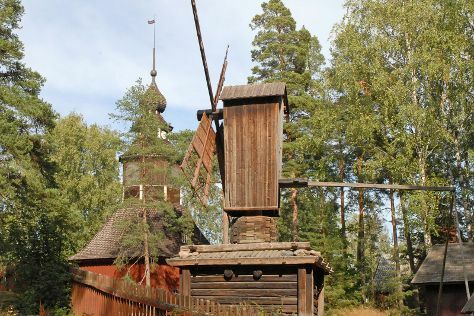 Discover out-of-the-way places like Seurasaari Island and Open-Air Museum and Linnanmaki Amusement Park. You'll find plenty of places to visit near Helsinki: Porvoo (Cathedral of Porvoo & Porvoo Old Town). Next up on the itinerary: browse the eclectic array of goods at Hakaniemi Market, test your team's savvy at popular escape rooms, admire the masterpieces at Kansallisgalleria, and learn more about the world around you at Natural History Museum (Luonnontieteellinen Museo). To find photos, reviews, and other tourist information, you can read our Helsinki trip maker tool . If you are flying in from Switzerland, the closest major airport is Helsinki Vantaa Airport. In July, plan for daily highs up to 25°C, and evening lows to 15°C. Cap off your sightseeing on the 7th (Sun) early enough to travel back home.